Are you looking for reliable and trustworthy shopping sites in Nigeria? Or are you searching for list of online stores in Nigeria? Do you want to buy different products online Nigeria? There are many more questions concerning online shopping in Nigeria that this article will answered. My interest is to help you find the best online shopping stores where you can do your online shopping. Online stores is gradually dominating the offline stores and the supermarket in Nigeria. These current trends in shopping are gradually gaining ground in Nigeria Market. There is no gainsaying that most offline stores and supermarket owners in Nigeria who had discovered this had move into online store while many others are yet to join. Nigeria online retail stores are growing in this trend because a lot of people find it easier and more convenient shopping from the comfort of their homes. There are again more choices to make, better price and more offer online. The end product of this trend is an explosion of online shopping sites in Nigeria. Updated August 2017: By the year 2020, virtually all business will be online and the end product will be explosion of online stores. In my quest to ameliorate online shopping problems and help people find the best online shopping sites, I did an extensive and exhaustive search on online shopping in Nigeria. I travel from one area in Nigeria to another to find out the locations of the warehouse of online shopping stores of the big guys. However,, my major research was done on-net. After, my analysis of all online shopping sites in Nigeria, konga.com came out as the No. 1 online shopping site in Nigeria. Zone 2, Wuse, Abuja. Victoria Island, Lagos. Mushin, Lagos. Surulere, and Ikeja GRA Lagos. Their Operational hours: Monday –Friday (7am -12midnight), Saturday (9am -5pm) and Sunday (9am- 5pm). Konga.com has a multiple payment methods; pay on delivery, point of service via Visa and mastercard, bank deposit-Zenith, GTB, and Diamond. They have a good professional looking website with easy navigation links. The image products quality on display is good. Their social media are huge, facebook-771573, twitter followers-65163. The site rank 19 in Nigeria in Alexa ranking and 3689 globally. Konga.com is widely known to offer low price on products compare to their market competitors. All these made Konga.com No. 1 Online shopping site in Nigeria. They also have a good customer reviews meanwhile, they spend heavily on advertisement campaign with their Google advert banner everywhere in the net and in Nigeria newspapers. They offer free delivery of products in Lagos above N10000 worth of product and they deliver products to customers anywhere in Nigeria by the help of their partner DHL. 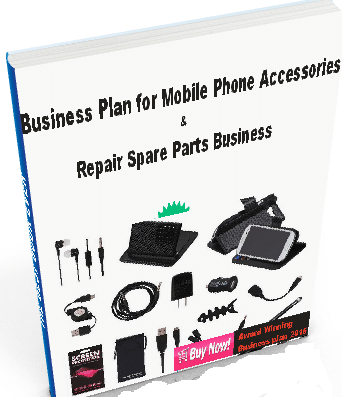 Their product includes but not limited to books, electronics, DVDs, mobile phones, fashions, home appliances. Jumia stores are also in country like Morocco, Egypt, Kenya and Ivory Coast. Jumia has 2 payment options; pay on delivery and prepay via local and international mastercard like visa, interswitch, and verve card. Jumia have a good looking website design with user easy navigation button. The products on display are of good image quality. Their social media communities are huge; facebook-432,790, twitter followers-28,051. The site rank 21(against 19 of Konga.com) in Nigeria and 3,471. The site rank #1 on Google search result for the phrase, “online shopping in Nigeria”. However, jumia.com recorded some poor customer review on pricy product sale and delay delivery of products. These have put Jumia.com behind Konga.com. Location: taafoo.com is located in the following areas in Nigeria; Plot CL 2 Kosi Road, Off Oregun Road, Adjacent to Diamond Oregun, Lagos. Their operating hour is Monday –Saturday (9am-7pm). Their products include clothing and fashions, shoes, accessories, jewelry & watches, handbags, sunglass, perfumes, Gadgets and Gifts. Taafoo.com offers 4 payment; online payment via debt card, bank transfer, deposit in banks-Zenith, First, GTB and in-PERSON @ office. They provide free normal delivery nationwide to all their customer when purchase products totally N2999 and over by use of reputable courier service 1-3 business day within Lagos and 3-5 business days outside Lagos. Taafoo.com is the most well known online fashion product dealer in Nigeria. I discovered that people visit taffoo.com after visiting jumia.com. Their social media communities are large but not as jumia; facebook-111519, twitter follower 5819 and they rank 200 (against 21 of Jumia) in Nigeria on alexa rank. Unfortunately, some customers have blacklisted taafoo as fake product sellers. Their website design is not too bad but still need some professional touch. Slotlimited.com made the fourth position. Slotlimited is already a household name in Nigeria. They were offline store before moving online. 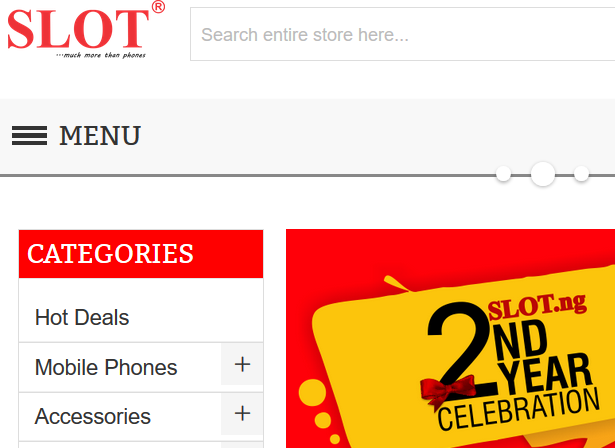 Location: slotlimited is virtually found in all the states in Nigeria. They in Lagos, Abuja, Ogun, Akwa Ibom, Ondo, Ilorin, Osun, Kano, Enugu, Benin, Ado-Ekiti, Delta, Warri, Portharcourt, Uyo, Calabar. Slotlimited charge in product delivery within N500, other state slotlimited is located N1500, and states where slotlimited is not located N3500. They have 3 payment methods; payment on delivery (@ your doorstep), bank transfer-zenith and online payment via ATM card. Slotlimited were able to took the fourth lead because of popularity and their already numerous existing offline customers. Slotlimited.com rank 309 in Nigeria on alexa rank (against 200 of taffoo) and 48,305 globally. Their social media communities are large; facebook-32141, twitter followers-1018. Their website design is considerable good and user usability. They trusted by their customers. Location: kaymu.com is located in the following areas in Nigeria; Adeniyi Olanrewaju Street, 1 Olanrewayu Crescent, Lagos. Lekki, Lagos. Kaymu is also in Morocco, Ghana, Indonesia, Pakistan, Bagladesh. Kaymu.com is just an online market place like top market place ebay. You can buy and you can sell your products too. It is not a conventional online shopping site. The site is highly popular with an alexa rank of 102 in Nigeria. Their social media communities are large; facebook-142219, twitter-10K. Because it is a market place, you can shop any type of product you want by contacting the product placer whose contact information is on the site. Some of these products may be a fairly used products but it will be indicated. So, if searching for fairly used cars, machines, or anything that are cheap, try kaymu.com. The website design is poor. Kaymu.com jumped to the fifth position because of their popularity and wide range of products on sale. Your online high street. Buyam.com is product of Morpheus online Business. Location: Buyam.com is located in the following area in Nigeria; Suite 3, 1B omorinre Johnson close, Lekki phase 1, Eri Osa, Lagos. Buyam.com is not a conventional direct retail shopping site. They display products from customers’ favorite offline stores. They serve intermediary job of bring merchant and buyers together. The products that can be seen on buyam.com.ng include but limited to; home and tech, flowers, gift, books, music, films, fashion and clothing, kids and baby, food and drinks, HBA and pharmacy, car and car accessories, stationeries and offices. Their delivery of products within Nigeria if free but outside Nigeria attracts a shipping charge. They partner with DHL to delivery products to their customers and they charge according to weight and location of the customer’s address which is usually added up during purchase on the website. Their payment methods ranges pay on delivery, pay on paga account, via credit or debit card, Etranzact to cash deposit. Buyam.com.ng website is poorly design and image products qualities on display is also not too fantastic. They rank 626 (against 102 of kaymu.com) in Nigeria and 109126 globally on alexa rank. Their social media communities are considerably large; facebook-67472, twitter followers 806. Although, buyam.com is still struggle with popularity, they spend heavily on advertisement campaign. They were able to grab position 6 because of their good impression they made on social media. Mystore Nigeria made the 7th position on the list. Mystore.com.ng, a leading Nigeria store trusted for online shopping took the seventh position on the list of online shopping sites in Nigeria. Mystore.com just like Buyam.com is not a conventional direct retail shopping site. You can buy and you can sell. Location: mystore.com.ng is situated at Suite B17, Amori complex, Orelope Idimu Egbeda Rd., Lagos. They deliver products nationwide and they deliver by pay on delivery to Lagos, Abuja and Portharcourt only. They deliver FREE in Lagos and FREE nationwide for all order above N25000. They deal on phones and tablets, fashion, home and appliances, home and décor, kitchen store, electronics, computers kids and baby video, film, music watches etc. merchants and brands register in mystore to sell their product to over 100million Nigeria nationwide. Their social media communities are large; facebook-52826, twitter-28166. Mystore.com.ng is pulling weight on twitter. Their alexa rank is 2312 in Nigeria and 65271 globally. Mystore.com.ng made position seven because of their good customer protection program and their good impression on social media. Buyright.biz, Nigeria’s leading online store is on the eight lead. Location: they are located in the following area in Nigeria; Grand Tower Abuja mall (ShopRite), plot 232 Murtal Mohammed express, way, Abuja. Shop L88, Ikeja City Mall (ShopRite), Alausa, Ikeja. G12, City Mall, opposite muson centre, Onikan, Lagos. 4 Obamkoro Street, beside Baptist Academy, Off Ikorodu Road, lagos and 18 Ezimgbo Link Road, GRA Phase IV Mopol, 19 mummy-B Bypass, PH. They deal on products like inverter, battery, voltage stabilizers and prot, computer peripherial and accessories, USB, Drive/memory card personal electronics, energy and solar light. They retail platform offers unique consumer affordable products. Their website design is not as impressive as other above mention sites. Their social media community is poor; facebook-6,767. They rank 2967 in Nigeria and 332,085 globally. They made position 8 because of their good customer service delivery and specialized products they deal on. Shopandmall.com.ng , another market place took the 9th position on this list. Location: they located on 22 Oweh Street, Jibowu, lagos, Nigeria. They are also present in Kenya, Zimbabwe and South Africa. They deal on varieties of product which include antiques, collections, Arts, Baby products, Bikes, Boats, books and education, vehicles, business and industry, car and car parts, camera and photos, wraist watches etc. You can shop on shopandmall and you can also sell your product. Their social media communities are also poor; facebook-4556 and; they globally rank 13749 in Nigeria and 128320 globally in alexa rank. These indicate the poor popularity of the site. They website design is very poor. They are able to land on position nine because of the good impressive mark they have made within the few months of their inception in Nigeria and service. This online supermarket made the ten positions in my list of online shopping website in Nigeria. Shop-ng.com started service on October 2013. The site is just an online supermarket. They integrated both buyer and seller platform. In other, you can sell your product(s) on Shop-ng.com. Selling of product on Shop Nigeria is totally FREE and they have multiple seller platform. Registration is easy and simple. They have made insignificant impression on social media communities; facebook-4,556. They rank 2113287 globally and are yet to rank in Nigeria. Because many of the above online store have gone into extinction, I willmake a fresh article on the top best 10 online stores in Nigeria a thorough review. Great list. All the stores listed above are wonderful. Note that Kaymu is now Jumia market. Great Sales and Offers every day! You should definitely try http://www.ohmashoes.com for big size shoes like size 12. They have a wide range of designers to choose from. we are not fighting for top 10, we are simple offering Nigerian an alternative free and secure site where they can sell and buy any thing at buy now price or auction , i so much agree with you but remember every great thing today had a starting point. please be supportive of our services to Nigeria God bless. Afrozon is an online auction marketplace similar to Ebay and Amazon based in Nigeria Founded in 2015. Afrozon is a platform where anyone can buy or sell virtually anything ranging from old to new in all categories at either buy now price or auction (highest bidder win the goods) we are a safe and secure platform where buyer and seller can transact save online, we use the escrow service where funds are held until Buyers receives goods and all obligations have been fulfilled. Join Today Register @ AFROZON and start selling or buying. its totally free for user to create there own store/business online. there services are free for buyer and seller alike. Afrozon is using a secure protocol we are hosted by one of Europe’s best hosting service and we are a secure marketplace and a Registered Company in Nigeria , we are very similar to Ebay, Afrozon is free for anyone to sell there product or buy and by abiding to our term and condition we have a well organize process to tackle scammers and malicious users. we also use the escrow payment system meaning buyer are protected from such users, likewise Sellers. Hence why we advise users to use our approved payment which are Paypal, voguepay or Bank transfer and we do advice if both parties do agree to transact in person such transaction should be done in a well known public place. you can sell you product at Auction or Buy now. and our services are free to both seller and buyers. Afrozon came yesterday and wants to be among the Top 10 best Online Shopping Sites in Nigeria. Sorry, you are not yet qualified to be reviewed. Yes, above listed websites are definitely Nigeria’s top most shopping websites. I want to introduce a newly launched website http://www.eshop.com.ng which has a wide range of electronic products and is offering huge discounts & luring offers on this festive season. You can visit the above link to know more about our offers. I used taffoo.com to order gifts for my relatives in nigeria. What are your bases or parameters for ranking Jumia as number one online shopping site in Nigeria.